Moving 100 issues to a new milestone? Assigning a group of issues to a new team member? Multi-edit allows you to select and update multiple issues at once. Revit users will experience a drastic improvement in speed when switching between issues in a complex model. Specific meta data can now be added to issue descriptions and comments (e.g. clash status, clash point, assigned to, approval data and more). 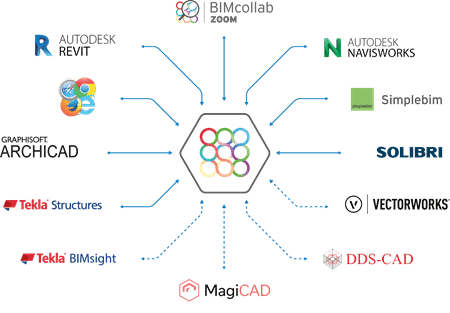 BIMcollab BCF Managers for Revit and Navisworks are brought to you by KUBUS BV. They're free. Pricing for BIMcollab is as follows.